Hildegard von Joyfallee is rather pleased to have discovered the “Chicken Impossible” ringtone (https://www.youtube.com/watch?v=jIeJKbR3LN0 ) and has duly downloaded it to the Joyfallee iphone. 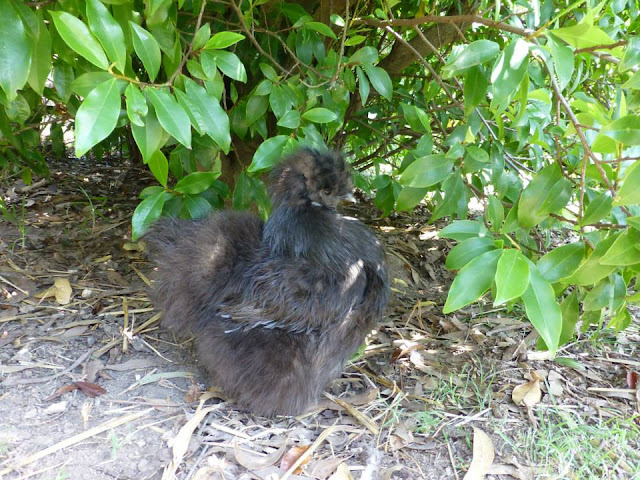 She has subsequently taken up darting from bush to bush while clucking “Chicken Impossible” with the notion of practising to be a chicken spy. In response to this, Princess Sparkles has suggested, somewhat unkindly, that she should take herself back to the pages of the Dr Seuss book from whence she came.